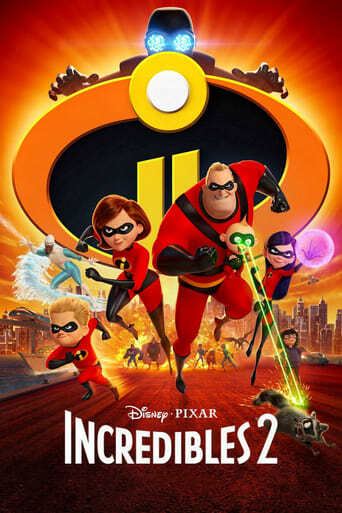 The Incredibles are perhaps the best superhero franchise running. They were just flaunting the animation quality this time around, I LOVE IT! Great film. Weak, predictable villain aside, visually stunning and worthy sequel. Lots of fun! Satisfying sequel lacks complex characterization-but is enjoyable in its own right. Didn't disappoint! Pixar sure knows how to tell a story. Kinda weak given the buildup, but some funny moments and the same great production design. Weak villain, but a visually stunning, light-hearted, and entertaining Pixar jaunt.